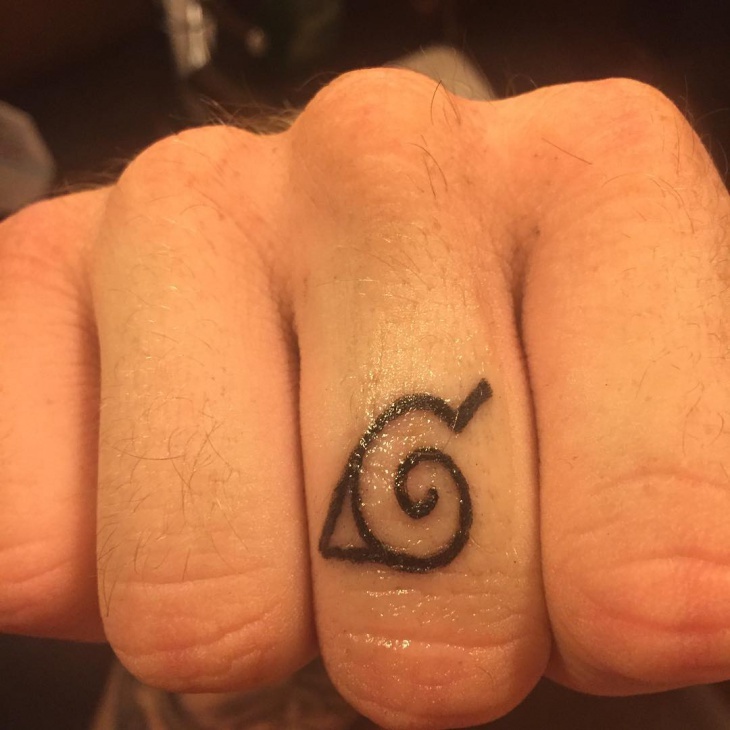 One of the most famous Japanese manga series is Naruto. 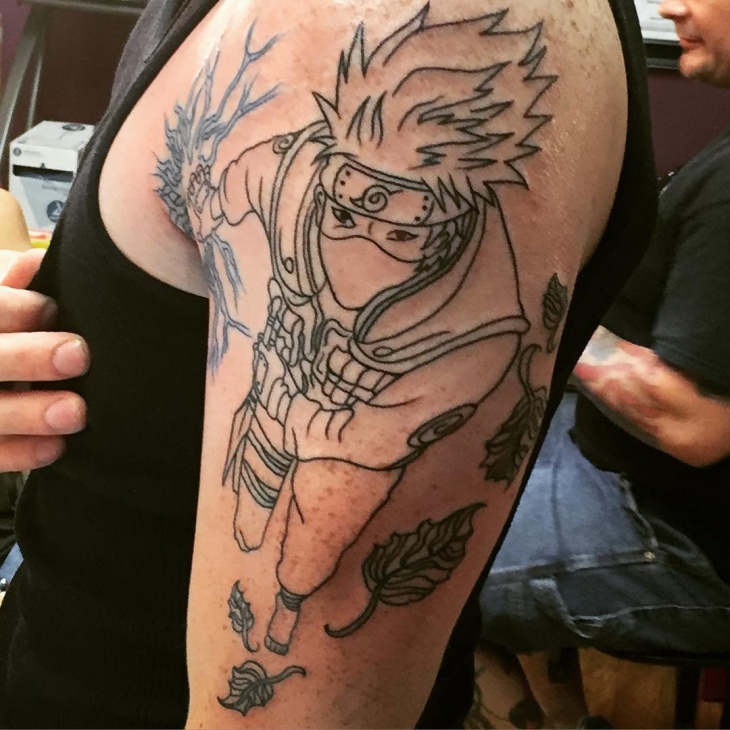 The story of Naruto, a young teen trying to find his place in the world, has been the inspiration of many movies, games as well as tattoo designs. 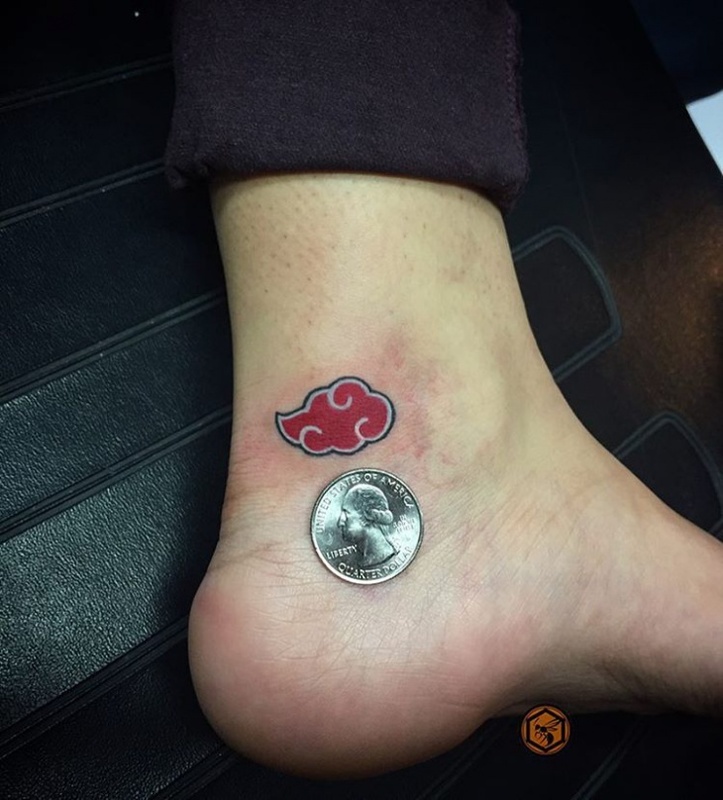 The millions of fans around the world have gotten or are thinking to get a Naruto tattoo design. 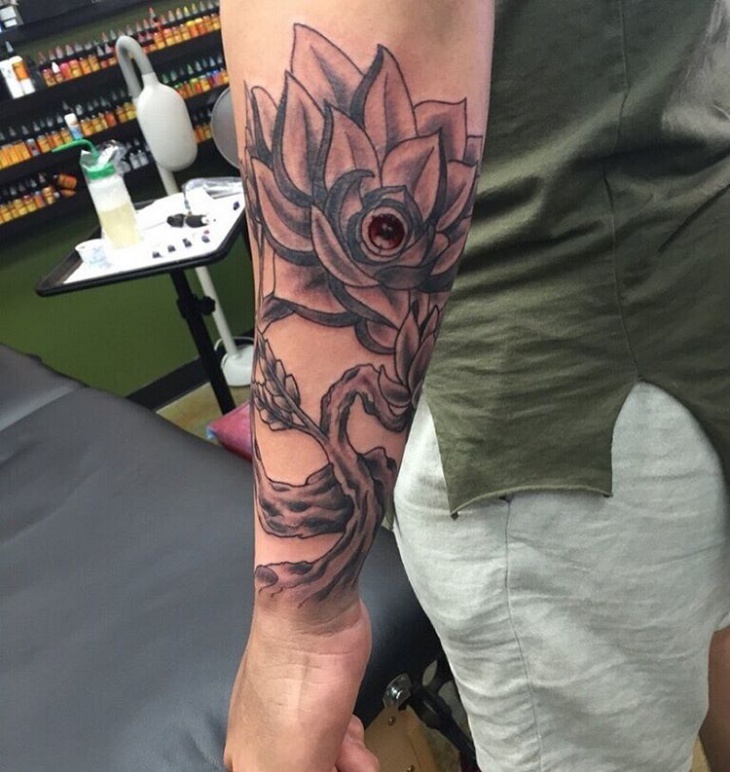 In case you are trying to find your next sleeve tattoo inspiration, take a look at the following collection. 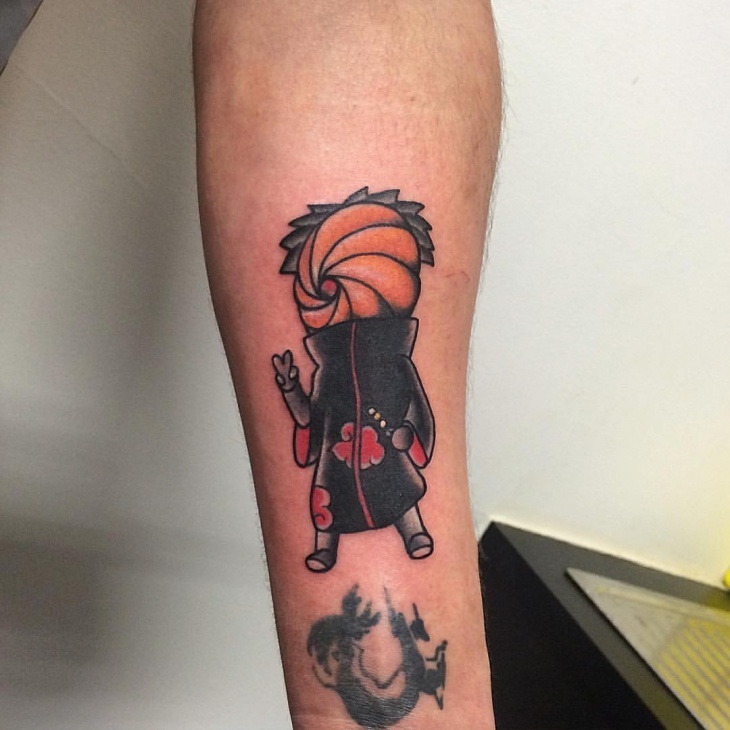 A stunning naruto inspired tattoo. The combination of the black and the red color along with the birds make for a great cover up tattoo. 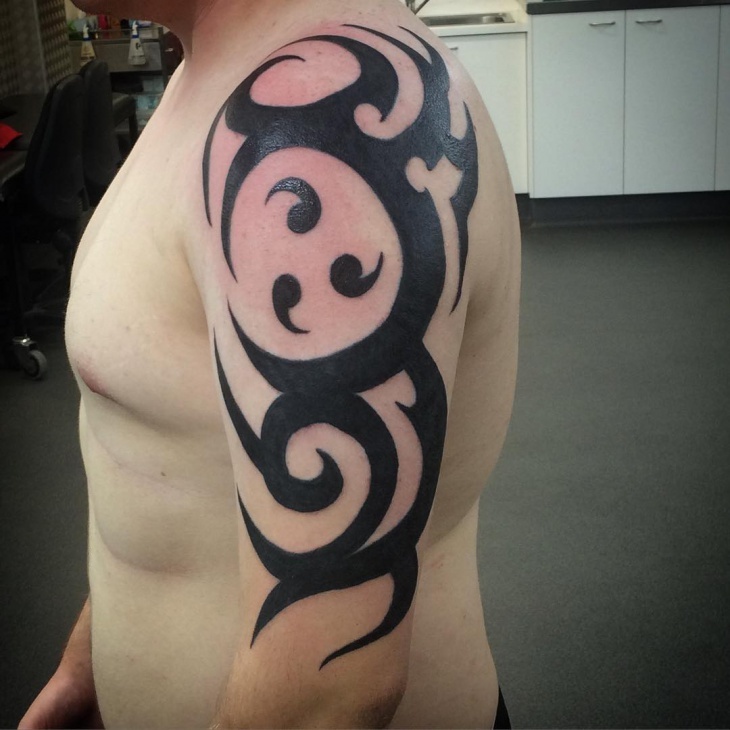 The design is really beautiful but it will require a couple sessions before completion. Spiral designs have a timeless character. 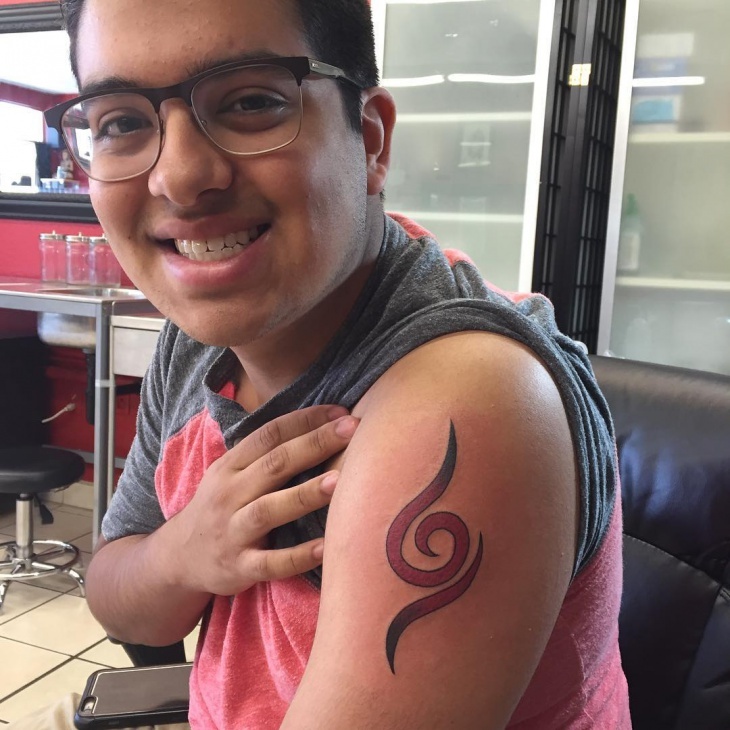 In this naruto seal tattoo, the designs that outline the black spiral create a charming look that will look amazing no matter where you choose to have it. 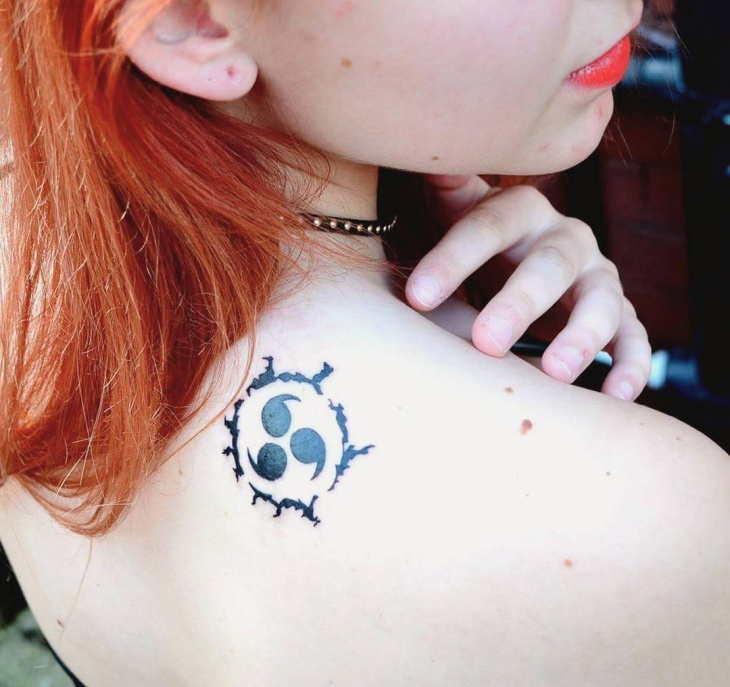 The curse mark drawn on the shoulder, is a great choice for both men and women. 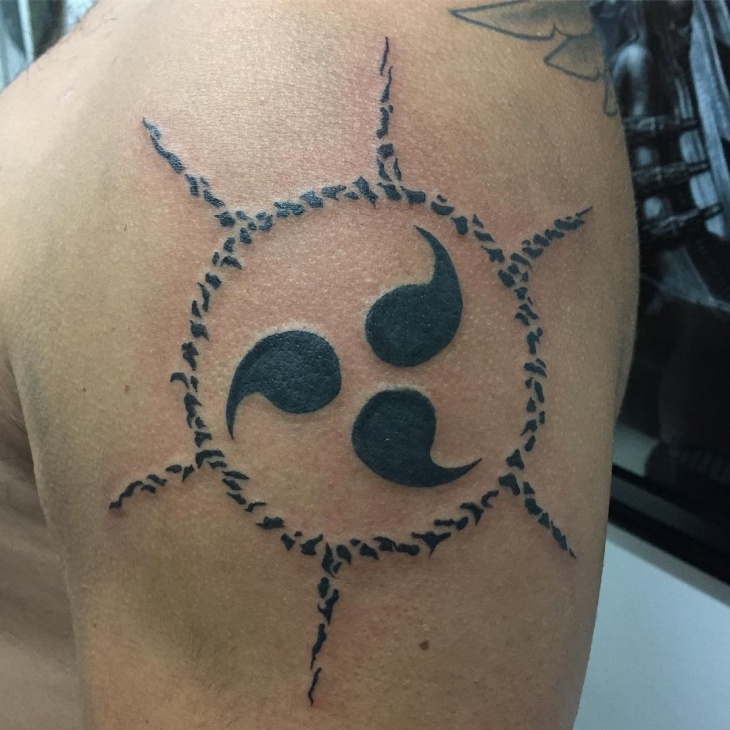 It’s a simple design with the details focusing on the sun design on the outlines of the tattoo requiring average time for completion. 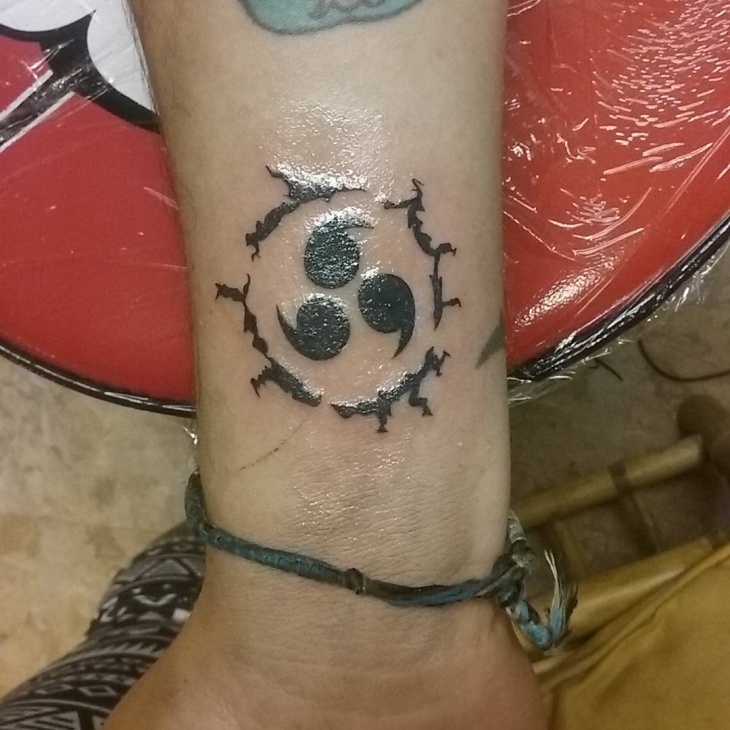 You can combine different themes and still get a great design, like this curse mark with tribal designs for an arm tattoo. The bold lines match perfectly with the curse design making it a great choice for men. 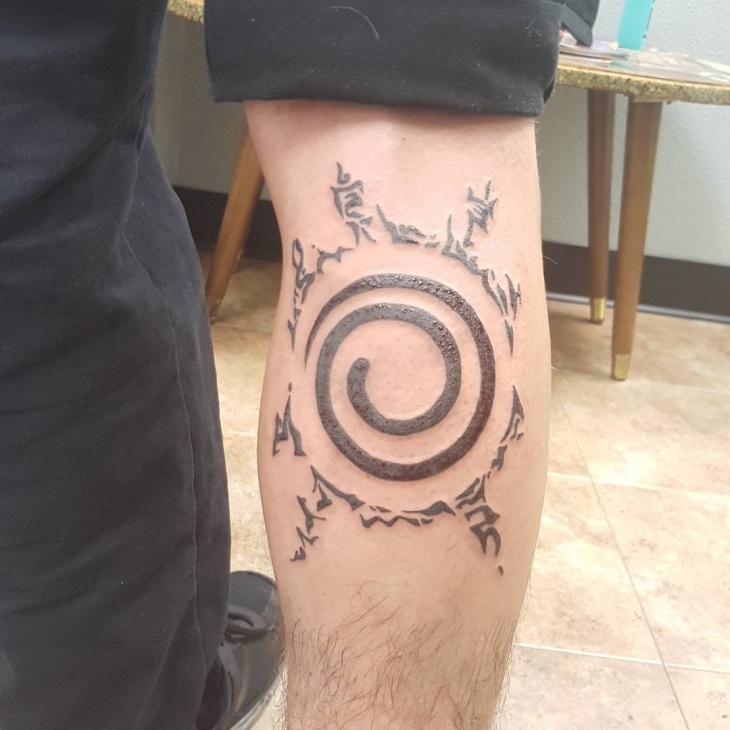 The design surrounding the curse mark is made from continuous lines that swirl and curve just enough to give an interesting vibe to the design. Even if you are not a fan, it is still a great choice. 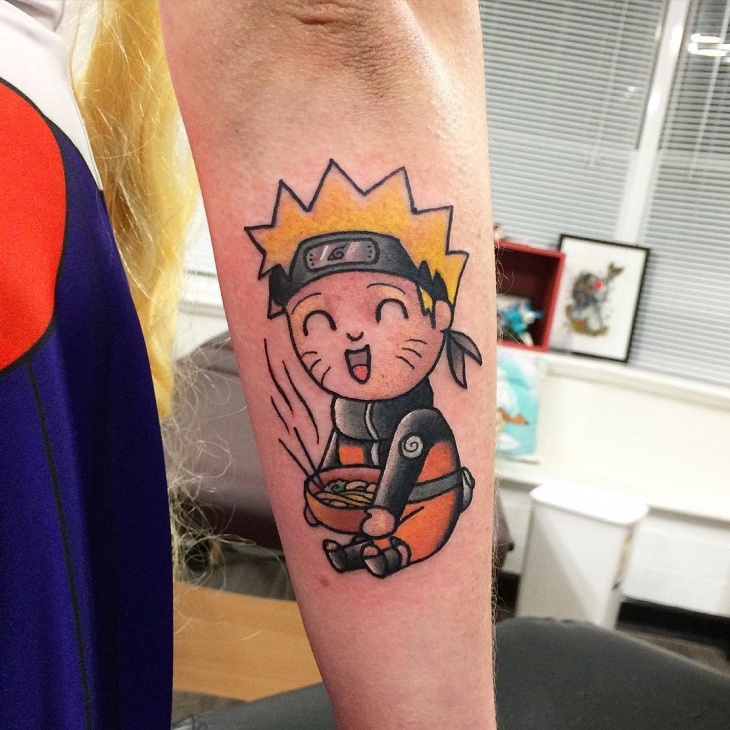 The main character of the Naruto series is a great choice for arm tattoo. 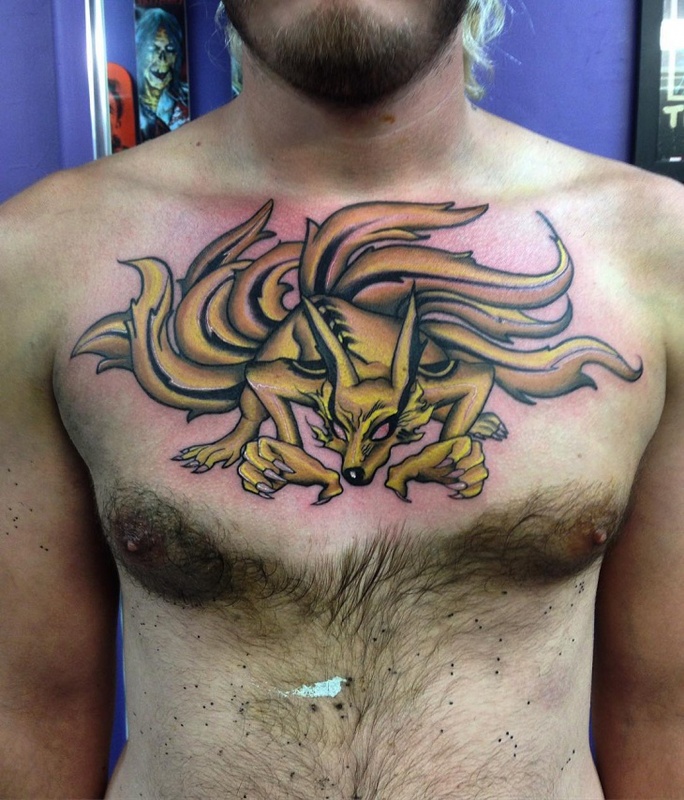 The lining will take one session while the coloring will take more. You can also have this design in black and white. 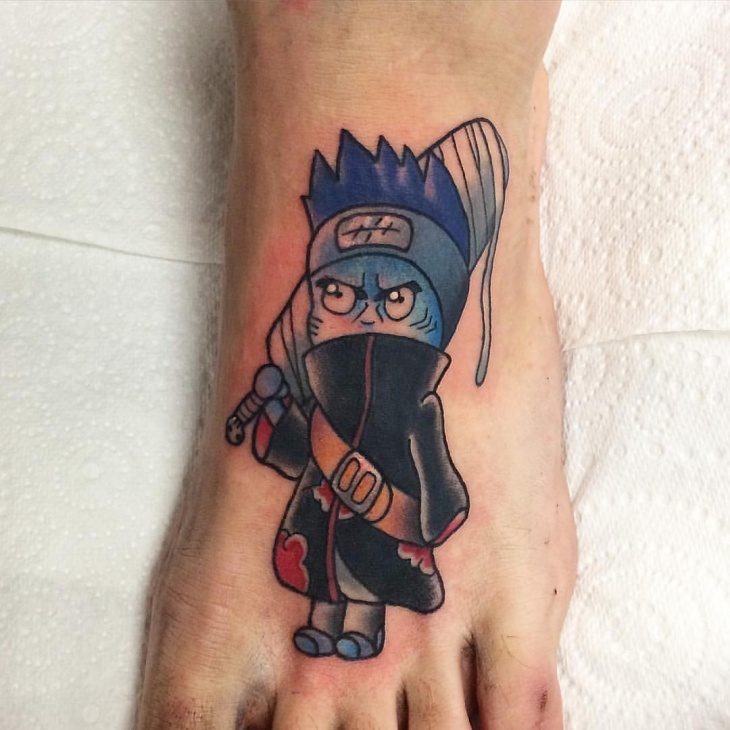 The curse design from the naruto series is a great example of unisex tattoos. You can have it on your shoulder in a small size for cute and elegant tattoo design. 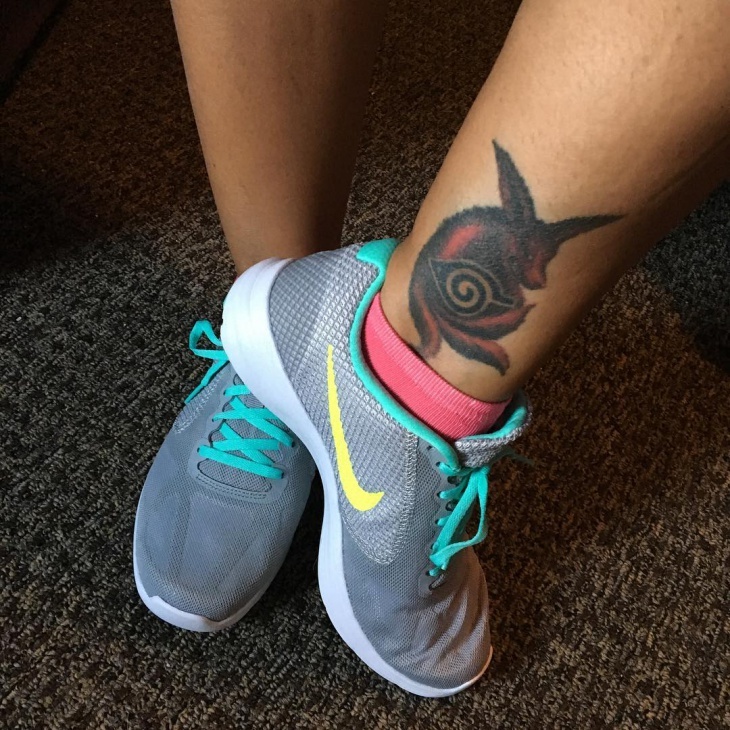 Tattoos of small size have no constriction of where to be drawn. 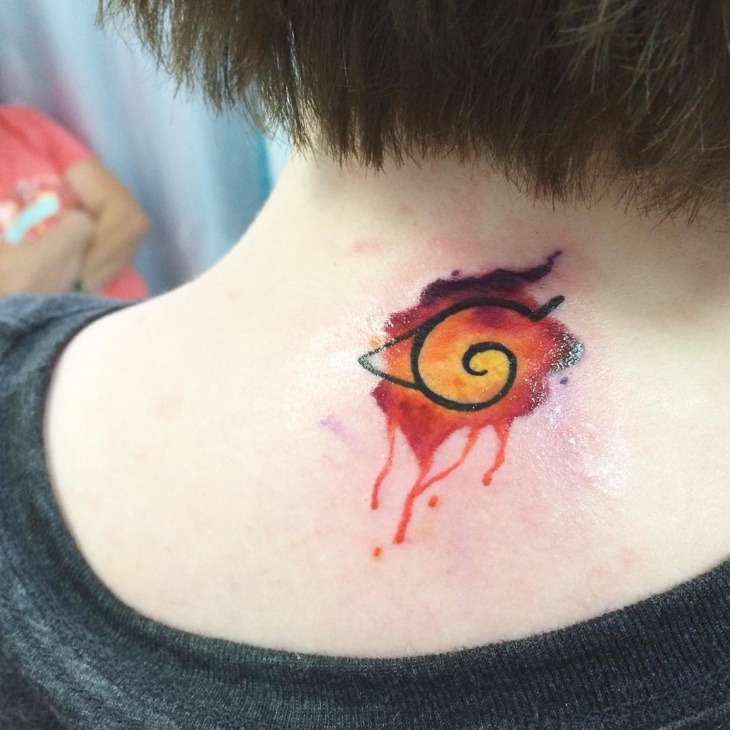 This naruto inspired tattoo has an elegant swirl pattern while the background is colored in red and yellow mixing together for an amazing design. 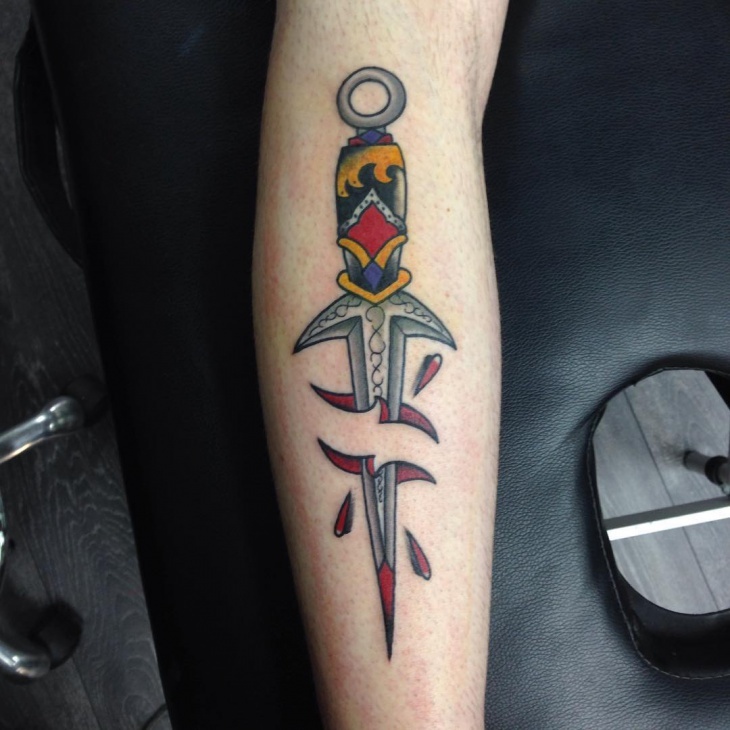 In case you choose to have the tattoo in a more sensitive spot then you should be prepared to deal with the pain. However, the end result is going to reward you. 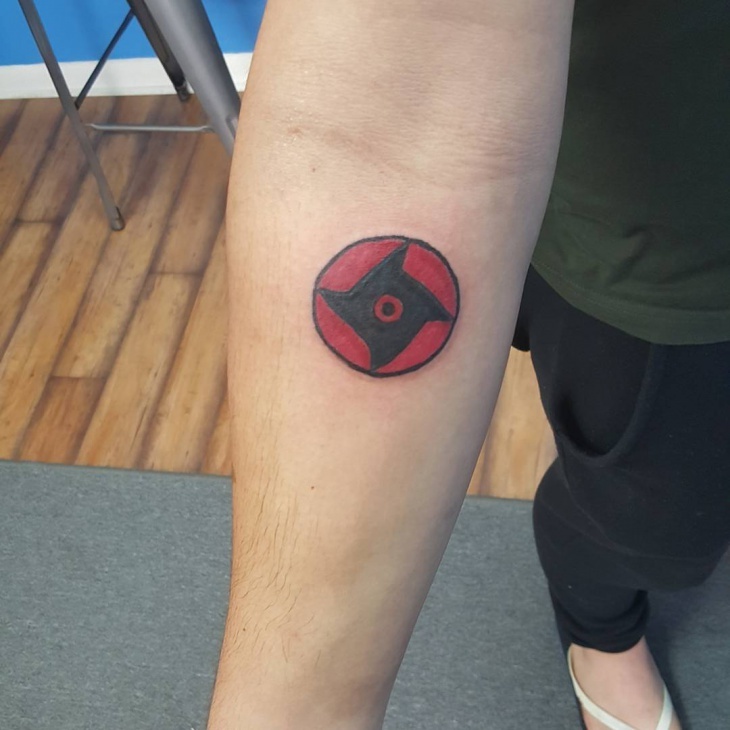 The naruto anbu tattoo design that you can find in different styles with more details or even with color like this shoulder tattoo. The ombre color on the coloring gives a stunning design. 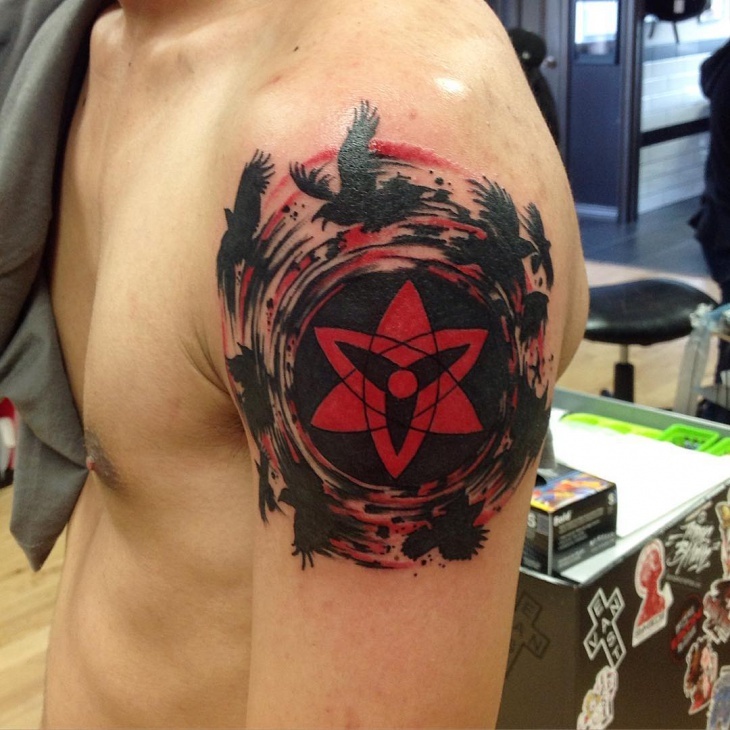 Naruto can be an endless source for tattoo designs. The vivacious characters of the series as well as other elements that frame the series plot can be transformed into ink artwork. 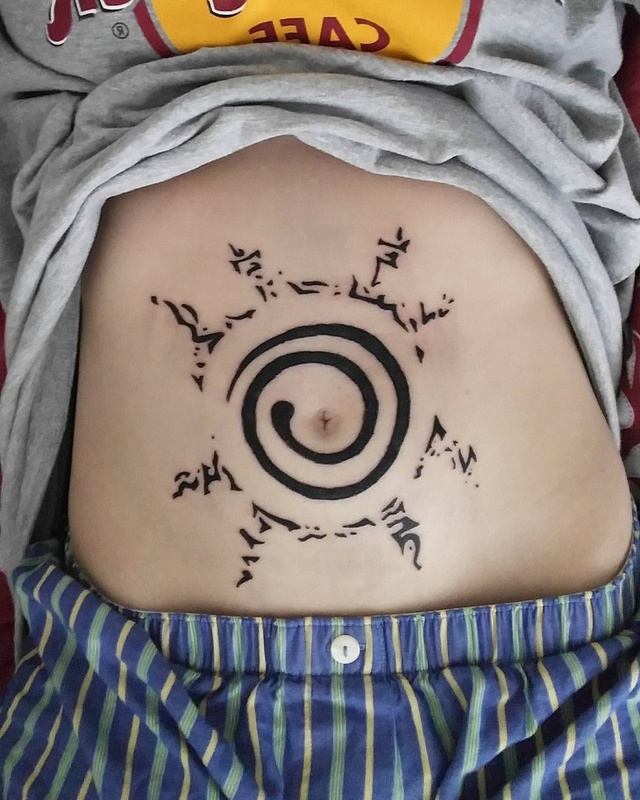 You should consider getting a naruto inspired lightning tattoo that will be perfect no matter your gender or age.